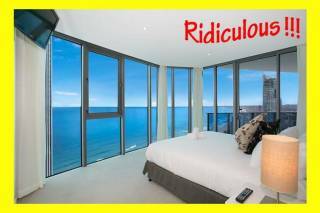 Three bedroom spacious fully self contained uniton our top floor with great views of the ocean. All apartments come with air conditioning, laundry facilities (washing machine,dryer) Kitchen facilites(fridge/freezer,microwave/oven)and balcony. wi-fi available. bedding consists on 2 queen beds & 2 singles. 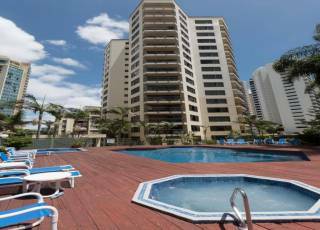 Well located 6 level building with renovated air conditioned apartments of 1, 2 & 3 bedrooms. Free security car park under the building with lift access to all floors. 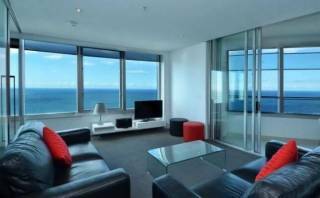 We are a two minute walk to the beach & a five minute walk to Cavill Mall the heart of Surfers Paradise. 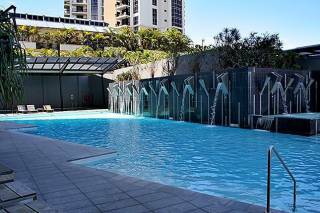 A heated swimming pool is at the rear with a barbeque and outdoor dining setting among large potted palms. Our tour desk can book trips on all popular destinations and attractions and coaches will pick up and return you to our door.